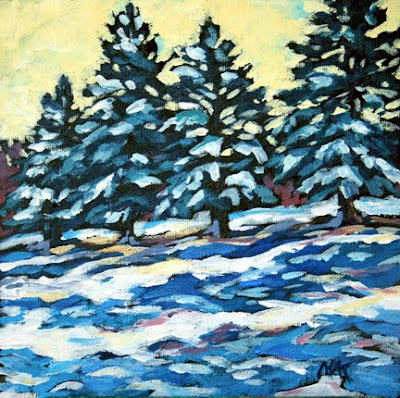 Another acrylic and attempt at painting snow. You've really captured the look of a bright winter day. With the weather we have been having, there won't be much golf for awhile!